A Life Bound By Books: Blog Tour - Review - The Warrior (Dante Walker, #3) By: Victoria Scott + A GIVEAWAY!!! 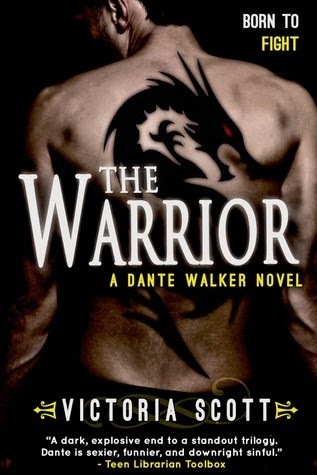 Blog Tour - Review - The Warrior (Dante Walker, #3) By: Victoria Scott + A GIVEAWAY!!! Synopsis: War between heaven and hell is coming, but Dante Walker makes it look damn good. It's always sad coming to the end of a trilogy or series that you love everything about and there was no way to avoid saying goodbye to Victoria's amazing characters than to dive right in and savor each and every moment with Dante, Charlie and the crew. And savor I did! The writing, plot and characters that readers have come to love in the previous two installments are there as the ultimate battle of good vs. evil prepare for war. The war that if they loose will change the world and it's inhabitants forever. They have to come together, train and learn to work as a unit for their victorious plan to work. And trust me when I say it's not at all easy. I love Dante. I've loved him from the first sentence I read about him. He's cocky and has no problem backing up everything he says. He's gone through some serious changes, issues and questions and has more to face this time around than ever before. And Charlie... how can you not love everything about this female character? Dante and Charlie compliment each other and during each title my heart broke for them one minute and soared the next. It was nothing like this time around however.. there were tears, sobbing tears that were never ending. Sobbing tears in which I had to put the book down because I couldn't see to read. I was an emotional mess and I didn't know what to do with myself. As I mentioned above the writing was spot on. Victoria knows how to pen some pretty epic characters with all sorts of flaws. Characters that leave their own unique mark and some you'll hate and more you'll love. Without giving too much away in this amazing title, which is one of my favorites I've read this year and a favorite trilogy of all time... I'll just say that if you haven't read The Collector you have NO idea what you're missing. It's a must read in my opinion and has something for everyone. 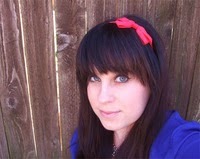 Victoria, I bow down to you and your imagination and how you bring them to life. You have become a go-to, must-read author for me and I thank you for doing what you do. I highly recommend this trilogy to everyone! It's YA for readers teen and older and shouldn't be passed up. Happy Reading. I so love the cover. It's sad that this is the final chapter but exciting too. Thanks.